in which we lament: don’t hate us because we’re (not) beautiful! 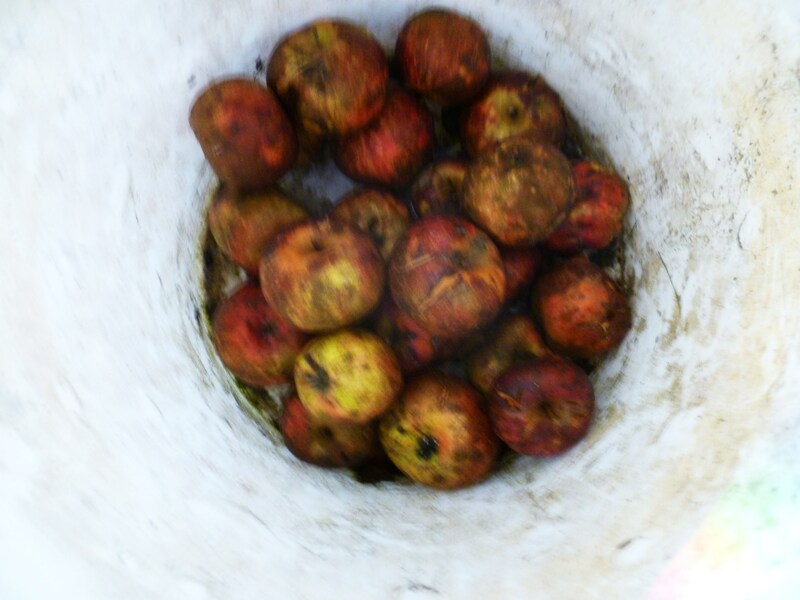 A continuation of my series about foraging at the farm and what I’ve done with my bounty. Haw berries first, today the apples and you’ll have to stay tuned for the black walnuts. Includes links to the recipes. Apples from one of my favorite trees – crisp, tart and spicy. But, wild as can be, not so waxed and polished. Face it, we Americans are harsh when it comes to our demand for physical perfection. Oh sure, we all know the do-good-character-building salvos like “Beauty is skin deep”, and “Don’t judge a book by its cover” but we all know too it’s not really that simple. We also know we should not be blinded by mere physical beauty and should instead value those precious inner beauties which are more rare. Of course knowing that doesn’t mean we don’t all lose our hearts and good sense to selfish, cruel yet beautiful loves who use us callously before tossing us aside from time to time. Who among us doesn’t have a single physical blemish? Come on, admit it’s true! But no matter, I’m not talking about love today; I’ve got apples on my mind. My apples are blessed with more than a few wormholes and scabs but the Ladies and I don’t mind. Our apples are juicy with inner beauty. I’ve enjoyed sampling apples from all over our new pastures and am thrilled with the diversity and flavors. It will take a long time before I am able to identify the varieties, but I already know where to find my favorites. Because these apples have grown wild and unappreciated by anyone with fewer than 4 legs for a long time, they are as organic as apples can be. Which means they are not beautiful in our modern retail-jaded eyes. But, they are beautiful to me. And to the Ladies (and Men – yes, you’re right; they don’t get enough mention around here). To make the most festive use of the apples I harvested from my favorite little tree, I made a holiday relish tray favorite of mine, spiced apple rings. 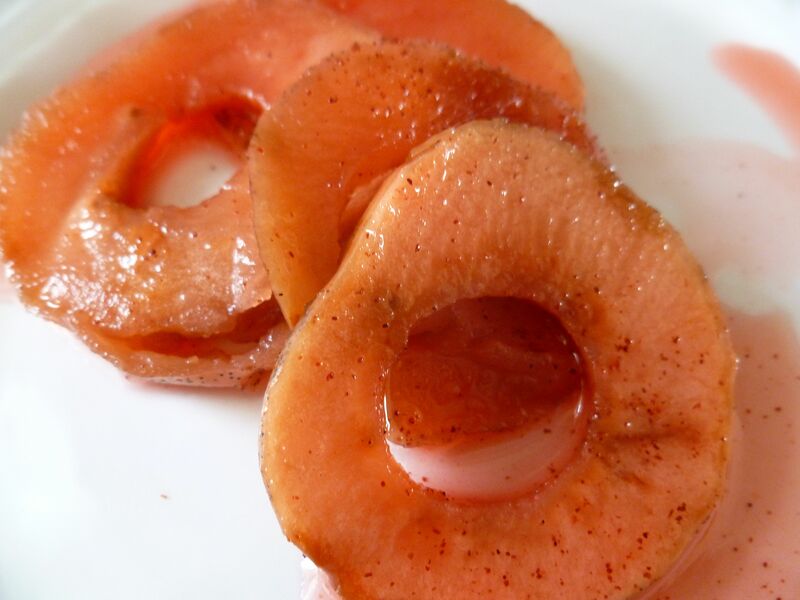 I love spiced apple rings but have never had any other than the commercial ones. And sometimes, they’re hard to find. And forget local and organic. I adapted my recipe from the Apple Wedges in Cinnamon Red Hot Syrup in the cheap and ever-useful Ball Blue Book of Preserving. Of course, I made some changes to sass it up a bit and make it more versatile, but I guess the name gives away the secret weapon – cinnamon red hots. 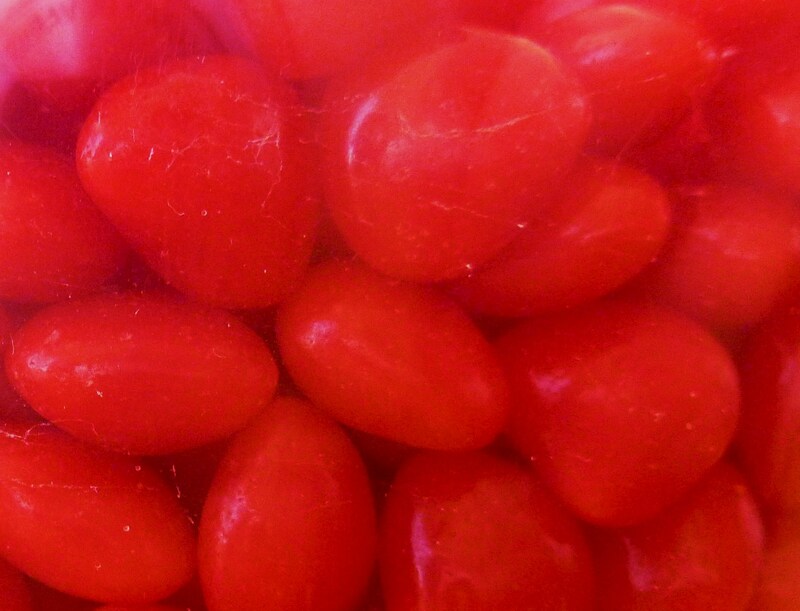 Have I mentioned how much I love cinnamon red hots? The not-so secret weapon – Cinnamon Red Hots. 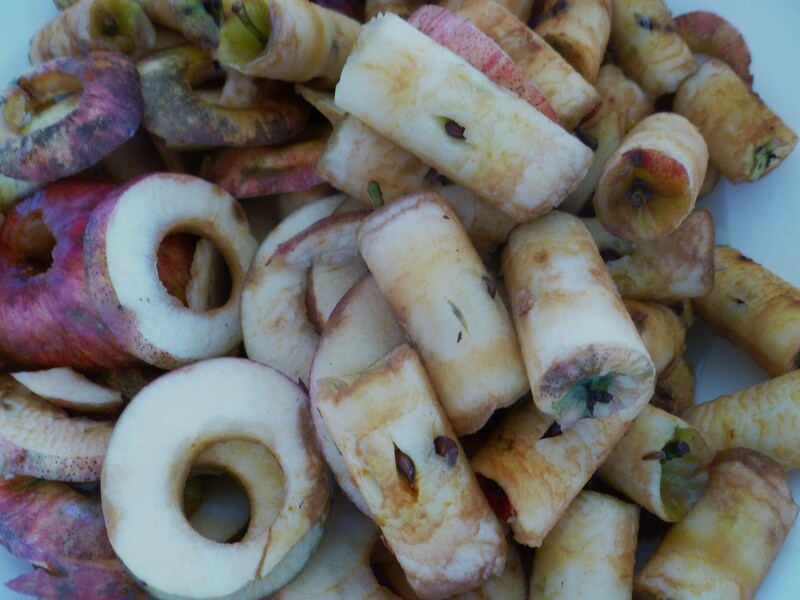 You wouldn’t guess it eating the finished spiced apples, but your spiced apple rings wouldn’t be the same without them…. have I mentioned how much I LOVE cinnamon red hots? I’ve been eating these spiced rings all week with cheddar cheese & grainy mustard, in risotto, on chicken and even chopped some with celery, garlic and onion in a relish (I’m more than a little excited about that relish). I’m not tired of them yet and I’m not really an apple-y sort. The recipe calls for peeled apple wedges, but I was determined that mine would be rings. With the skin on. And so they are. Click here for a link to the full recipe. I’m beaming with motherly pride over my knobby little apples all dressed up – you wouldn’t let a scab or knob here or there scare you away from some tasty, nourishing, spicy-syrupy red fruit would you? What’s your secret apple-enhancing weapon? I just love the photo of Bling and the description of the Desperate Apple Situation at your farm! Hey there, Yankee! Thanks for visiting; I’m glad you enjoyed Bling. She is a clown and I assure you, she is not kidding! Randy and I are professional apple and cherry growers here in Washington State (we raise cattle and garden on the side). We’ve long lamented the prissy American consumer, picking through perfectly good produce to select “blemish”-free apples….that taste like cardboard. After almost 30 years ruminating (and fuming) over this problem, I’ve come up with an explaination. Well, really an excuse. The American urban consumer is so completely separated from his food’s origins that he literally doesn’t know what an item should look like. 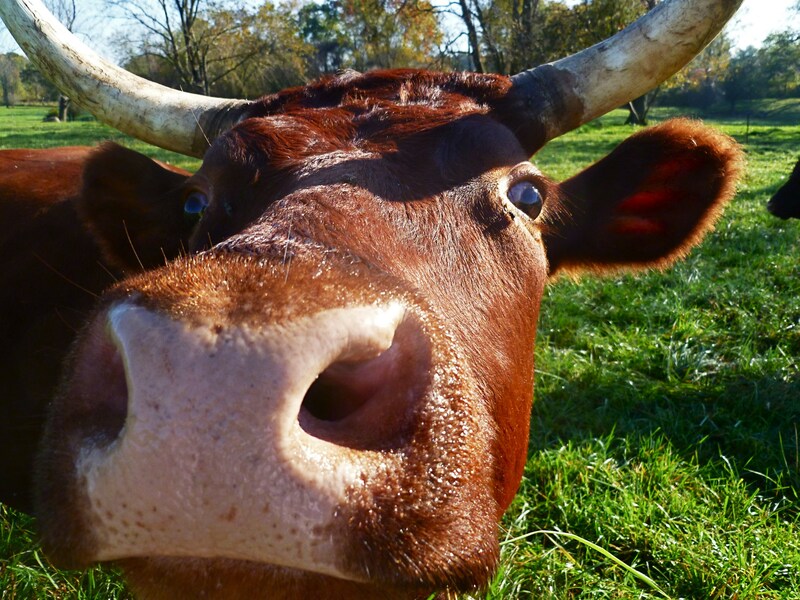 Whether it’s beef, apples, cherries or bread, he wouldn’t be able to tell you the first thing about its “natural state”. I am not being snotty. It’s just something I’ve observed. He depends on his store to define his choices. He asks only a couple of things in return: that the item “keep” for an unreasonable amount of time, because he’s just too busy to cook it, and doesn’t know how to preserve it, and that the item be pretty to look at. That’s it. Surprisingly, taste often seems of secondary importance. An example: I didn’t know cherries existed that weren’t bland, bitter, tiny and half-rotten until I moved from California to Washington. And people here think citrus “comes naturally” to the store bitter and shriveled. We buy it anyway. It’s what the store sells. Markets aren’t stupid or evil–they’re just in business. And produce (unless in a store specializing in it) is a loss-leader. I don’t care how healthy, self-actualized or groovy a market’s clientelle is, there’s no way a Safeway is going to make tons of money selling product that rots in two days. So they need produce that looks spectacular. Period. And they train the customer to like it, too. When Gala apples were first grown en masse here in the Northwest, they were stripey and small and amazing. Our warehouse stopped accepting them and demanded its growers grow a more “typey” apple, the Gale Gala, a cardboardy pretend Gala nobody in their right mind would buy. Why? Because research “proved” consumers didn’t like stripey apples, considering them unripe. The Gale was a solid color, telling the produce man it was “ripe”. Which is insane. Thousands of acres of valuable trees were pulled. Now, anybody here with an old fashined gala tree is mobbed by those “in the know”, who know it’s the best eating and applesauce apple in existance. Sorry for being so long-winded. I was just inspired by your great post. I’m so glad I could inspire that in you! Awesome. I have a theory that every American should have to do a stint as a waiter in a restaurant and as a farmer as part of their human education. Having done those two things, most people would become kinder to others and more respectful and less wasteful of food. And never be fooled by those glossy wax apples again. I’m reading Kitchen Literacy – you would probably enjoy it. It is interesting how industry has actually cultivated such ignorance in consumers…. Thank you so much for taking so much time to post this – I really enjoyed it.